A subtle transition (or not so subtle when you really look at it) has occurred over the past 10 years. Our lives have moved from analog to digital. Just look at your normal day. Do you read a printed book or pick up a Kindle? Are you listening to cassette tapes, streaming your music from Spotify, Pandora or listening to MP3s on your iPod? Do you go to Blockbuster (if you can find one) or use Netflix, Amazon Video and iTunes? Cameras have clearly gone digital this past decade. 10 years ago I was still recording shows on VHS...now I TIVO. And look at all the freedom this digital transition has introduced. Your entire music library can travel with you no matter if you are...on the train, in a plane or driving down the road. The concept of a digital camera has opened up a well spring of opportunities to capture the moment. Back in the old film camera days you would be worried about the cost of the film and developing (every time you clicked a picture...good or bad...you would hear "25 cents" inside that click sound). Now people take pictures at every whim...their food, friends, locations, etc. and you can delete the bad pictures. Now I realize I am a serious consumer of digital assets. I take thousands of photos a year. I record hours of video each month. Currently have a few terabytes of music and movies. I read ebooks and e-magazines. I experiment with quite a few new applications and downloadable apps every month. It all adds up to a lot of digital storage needs. And over the years I have watched many drives die on me and I typically end up loosing everything. I really don't like living in that world and the cost of storage solutions are relatively inexpensive...so today I look for high-reliability solutions that ensure my data is clearly backed up in real-time. This article covers several scenarios, products and services I rely on to sleep soundly and not worry about "when my drive will die"! A lot of noise has been generated about "storing in the cloud" and that means that you put your content online and a service sends it back to you when you want to use it. I do a fair bit of cloud storage, most notably Flickr.com to store all my photos and a subset of my smaller, shorter video clips. Apple provides storage of my iTunes purchases and some important computer files. 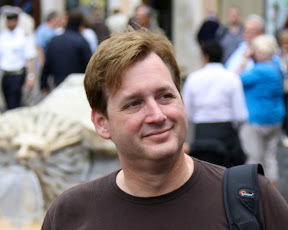 I also leverage services like Evernote that backs up a lot of my notes and key information. And Dropbox keeps documents I need to access anywhere. 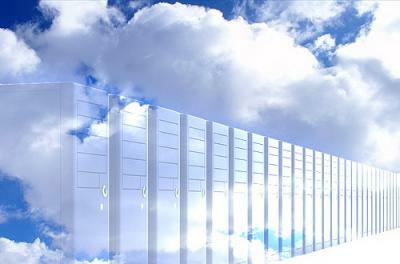 I mostly try to make sure that anything very personal and irreplaceable is protected off-site...in the cloud. But at the end of the day, I like more immediate access to my content. I might want to sort through all the pictures from this past year and to stream through those from a remote cloud storage solution can be too time consuming, especially if I want to access the full resolution files. To that end, I do need some beefy storage at home and on the road that also ensures the information is safe and sound. And the hard drives within my laptops tend to not be enough. Either the drives are too small AND I have been burned more times than I care to count with hard drives dying on me at the worst possible moment and everything going away in a digital puff of smoke. In the past, I talked about my mobile storage needs and the limitations of iPads and iPhones to store everything. I do wish that my mobile device was my "always with me" digital backup...but the fact of the matter is these devices just don't offer anywhere near the type of storage capacity I am talking about. So for the most part, this is really a discussion around keeping track of your digital assets at home or work. First, you really need to know what assets are important to you. I would assume the computer documents, pictures and videos you produce are probably at the top of your list of "important" digital content. And for me I tend to rely on the following; 1) high-speed drives for video editing and manipulating large photos and images, 2) portable storage that travels with me, 3) network storage that backs up my computers and streams content to different media consuming devices around the home and 4) the last wall of defense...the cloud back-ups I mentioned earlier for one last level of redundancy of information. Now I mentioned I do enjoy taking pictures and high-definition videos of my travels and family affairs. It is probably my number one hobby. I feel sorry for my family that has to put up with having every minute of their lives captured in one form or another. As these files are very personal and great keepsakes, I really want them to be there tomorrow. So I use some very nice drives that are both "fast" and "safe". This is accomplished by using hard drive technology that is called RAID (redundant array of independent disks). What that means is that you tether multiple drives together to create one super-drive. Now their are different types of RAID configurations but I tend to use two of the four most popular configurations. RAID 0 is the idea of taking two identical hard drives and writing/striping half the data on each. By splitting up the work, each drive is doing half the work and thus operates twice as fast as a normal drive. The problem with this solution is that if one drive dies...everything is lost! The only way this solution works for me is if this set of drives is backed up onto another set of drives as a safety net. More on that in a bit. RAID 1 is a good solution if you are worried about loosing information (which obviously I am) and basically takes two drives and writes the same thing on both simultaneously. This solution is great but making sure you have a back up does have limitations on throughput...especially if you are dealing with larger files or multiple files at the same time. 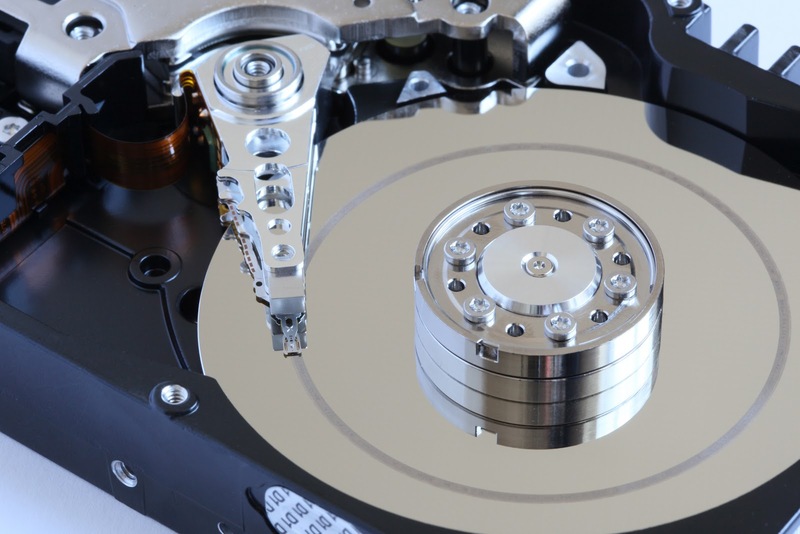 A single hard drive solution can choke on the amount of information you may have in your photo, video or music library. You tend to be sitting there waiting for the screen to refresh as you scroll through 100s or 1000s of files. 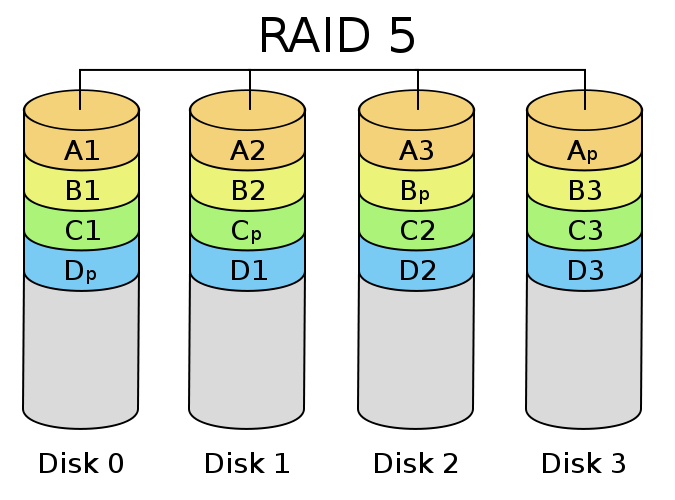 RAID 5 is the idea of striping information across multiple drives and writes a bit of extra information across all the drives. This extra information would allow the system to "rebuild" one drive if you have a failure. To me, this extra information needs to be perfect...and I have had issues rebuilding a drive before with this technic. 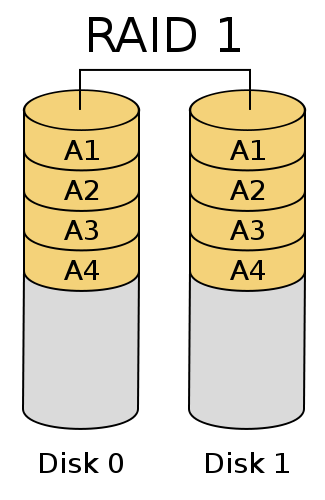 RAID 1+0 (also called RAID 10) is the concept of taking four identical hard drives and creating two sets of RAID 1 mirrored drives and RAID 0 striping of the data across the two sets mirrored sets. This combination provides you with the redundancy of information for safety and the speed of reading and writing information since each set only has to do half the work. This is obviously a costly solution but a great one if you want speed and confidence. I use this solution for my primary data. There is RAID 0+1 that reverses the striping and mirroring roles but for the most part serves the same idea. One major caveat is that when you mirror drives, you really end up eating a good portion of the overall storage capacity of all the drives combined. For me this is not necessarily a bad thing...it is just the cost of having my digital assets backed up and protected. And for my purposes I seem to like RAID 1 for just having a duplicate backup of my everyday files and for my extreme performance purposes I lean on RAID 10 solutions. For my everyday files and general computer assets like applications and the like, I rely on a RAID 1 configuration. This just makes sure that everything is backed up in real-time with a redundant drive. These are widely available and some computers nowadays even offer the ability to have two RAID 1 internal drives. 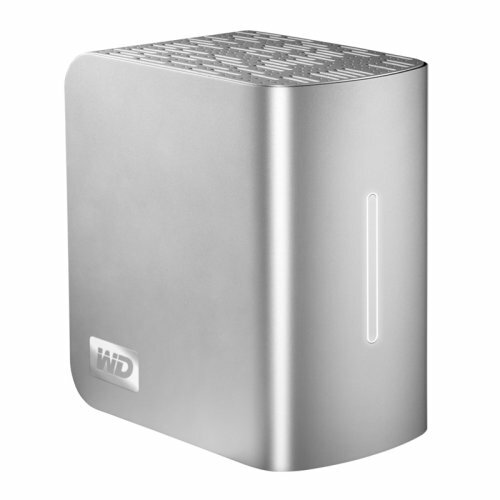 A solid, self-contained solution is provided by Western Digital called the My Book Studio II. This is an external drive with two hard disks inside. You can mirror the drives in a RAID 1 configuration or strip the drives for higher write and read speeds of a RAID 0 configuration. My focus here is on the mirroring setup. 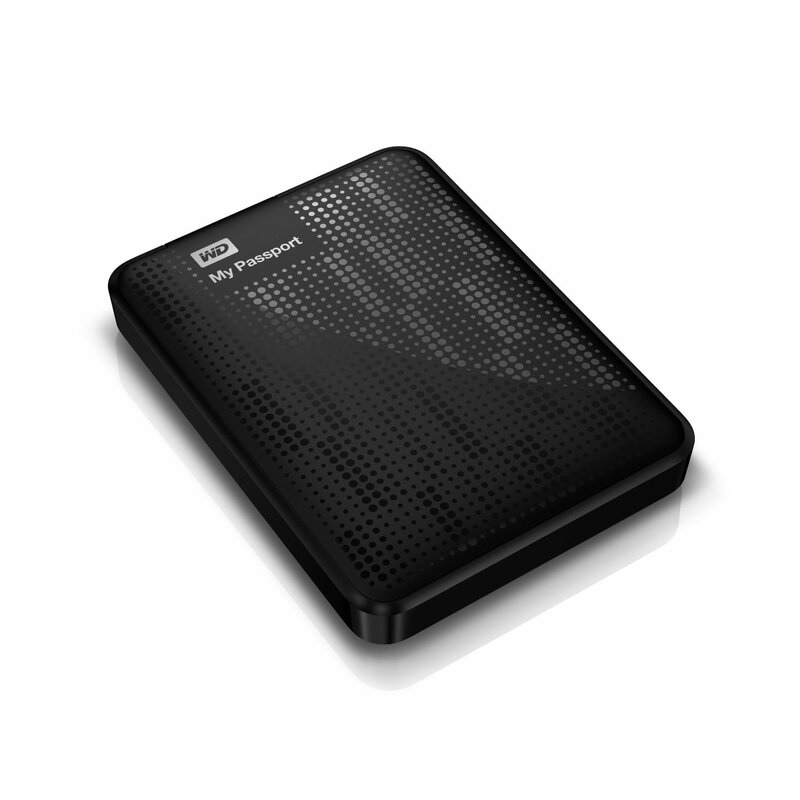 The drive is speedy enough and can be connected to your computer via Firewire or USB. There are versions available pre-formated for PC Windows computer or Macintosh. They contain two Green drives that require 30% less energy than traditional drives and as a result do not require a fan...helping to make this drive relatively quiet running. Should one of the drives die, you can replace it and the device will automatically replicate the information back from the other drives content. All-in-all, a nice setup at a pretty reasonable price all things considered. And your precious information is safe-n-sound! I do a fair bit of photo editing of large images from my Digital SLR camera. These files can run 25 megabtyes per picture. I also do high-definition video editing that requires me to stream multiple videos at the same time. This level of file throughput requires something more beefy from a storage performance standpoint. My go-to solution for this high level of performance is Hitachi's G-Technology products, most notably the G-Speed ES. This drive requires you to have the new eSATA interface for linking the computer with the drive. G-Technology sells a configuration with a PCIe eSATA controller that you add to your desktop computer. Or you can get an ExpressCard eSATA adaptor for you laptop to add this port as well. 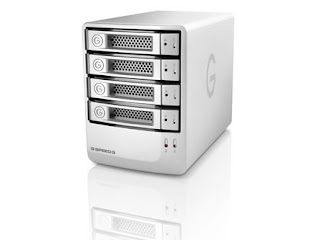 There is a lower cost version that supports USB and Firewire connectivity called the G-Speed Q but you'd have to utilize RAID 0 or 5 to get the most out of the drive. In that case, I'd recommend a Firewire connection and RAID 5 setup. Which G-SPEED RAID Solution is Right for You? 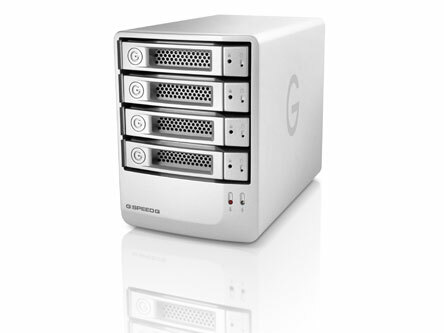 I have had great success regarding these G-Speed drives and have purchased multiples of these as my storage capacity requirements grow. Another nice feature is the ability to span storage across up to four units for even large, more professional needs. I have had an incredible string of bad luck with my laptops over the last year or so. I have had three occasions where the drive has failed (twice on a Windows computer and once on my Mac) and I have lost everything. I really got tired of this, so now I am traveling with a G-RAID Mini configured in a RAID 1 setup. I purchased the 1.5 terabyte drive which affords me 750 gigabytes of redundant mobile storage. More than enough and the drive works great. The only issue is that it requires to be plugged into an electrical outlet if you are not running off of Firewire and my Macbook Air does not have Firewire. But overall, it is a great solution to make sure I have my files when I get back home. Another solution to protect your files on the computers is a network backup. There is a relatively new generation of drives that do not mount to your computer but instead mount to the network either via ethernet or even wi-fi. 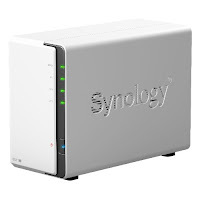 My product of choice here is the Synology Diskstation Network Attached Storage (NAS) solutions. There are two or more disk versions based on your needs. I should caution that many of these come without the hard drives and you need to purchase those separately. The two products I have are the DS212J and DS411J. As you would imagine the DS212J supports two drives that can be configured into a RAID 1 setup. 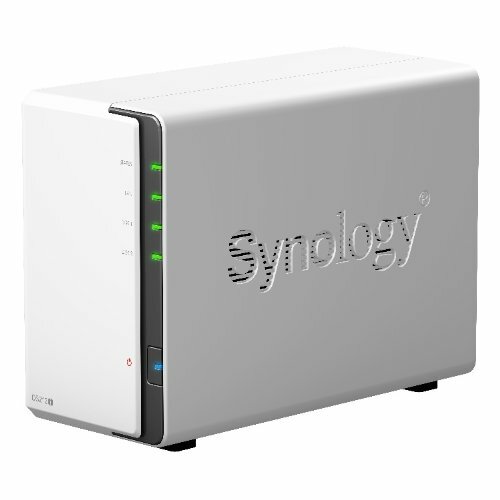 What makes these great products, is the sophistication of the Synology's DiskStation operating system. The intelligence of the platform and the ease of getting these drives setup and on your network is amazing. They also offer a very wide range of features from serving media to iTunes and Windows devices to seamless compatibility with backup services like Apple's TimeMachine. If you need more storage capacity or have a few computers on your network you would like backed up, I would recommend going with the DS411J. And as for hard disks, I would recommend the Western Digital Caviar Green drives. Just make sure if you are ordering the NAS with or without hard drives installed. Both options tend to be available online. Should you purchase one of these without the drives and order them separately, they are very easy to setup...I am talking "minutes" to install. Once you have one of these systems on the network, make sure you regularly backup your computers to them. If you have Macintosh's, there is NO reason you shouldn't be running TimeMachine on every Mac. It borders on magical when it comes to retrieving any file or version of any file on your computer. I love that if I mess something up, I can go back a day or two and get that version of the file. Very cool! If you have been paying attention, there is a good deal of G-Technology, Synology and Western Digital mentioned here. I have used other brands over the years and have a parking lot of dead product at home. At the end of the day, these have been the three most reliable brands based on my many years of experience. Obviously there are horror stories around any brand but these have been the ones I have had the best luck and will recommend wholeheartedly. 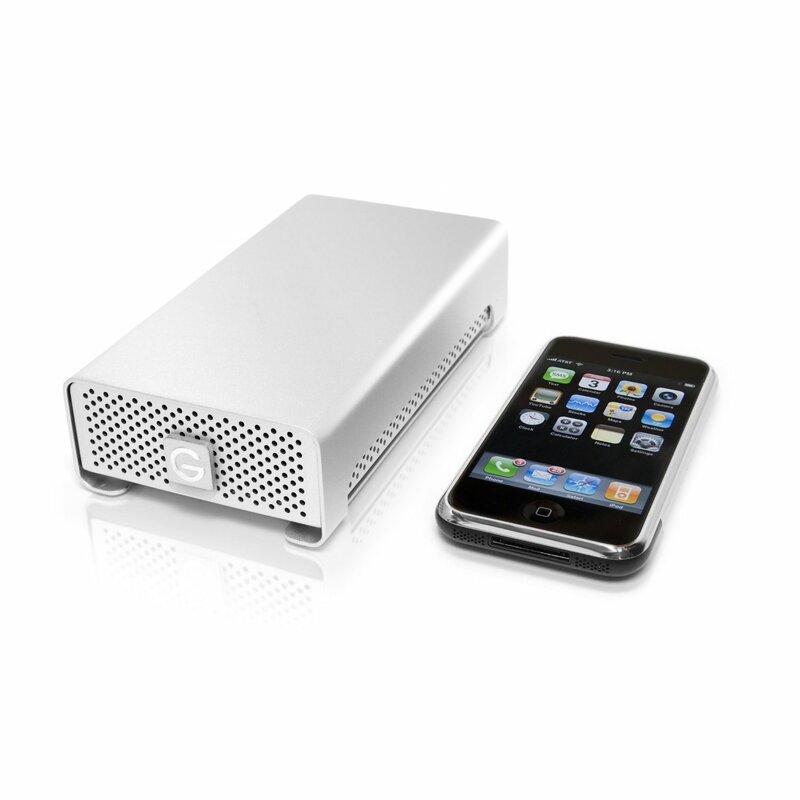 I personally steer away from Lacie and Seagate (FYI: Seagate just announced they are buying Lacie) for the most part. Too many dead products. Dying too fast for my liking. I do have several non-RAID drives, mostly the small, portable ones from the Western Digital Passport series. These are the hard drives I use to haul around duplicates from home or work when the files are too big for a USB memory stick. If these disks die, I don't really loose anything since the original is still back on a RAID somewhere. You might be hearing about new technologies called Thunderport or USB 3.0. These are new standards in connecting peripherals to your computer. Thunderport is a new interface you will find on a lot of newer Macintoshs and PCs. As you would assume...it is faster than what you have today. And guess what...USB 3.0 is faster than your current USB 2.0! As our monitors, cameras and videos get higher resolution, the files get exponentially bigger as well. We will be needing the faster connection options as time goes on. We are starting to see drives that support these standards and as they become viable in the types of solutions I am discussing here, I will be sure to keep you in the loop. To date, I've only seen a couple hit the market and they have a bit of an unjustified pricing premium. So for now, I'd continue to suggest the solutions above which are all extremely viable for years to come.